Located in the heart of Ozark Mountain Country, Midwest Sheet Metal Company is a family owned and operated business specializing in the design and custom fabrication of carbon steel, stainless and aluminum products. We have one of the area’s largest in-stock inventories of steel, aluminum, stainless and structural shapes. 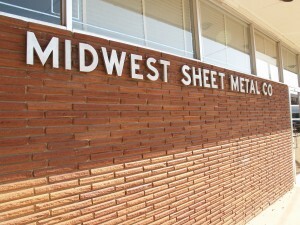 Midwest Sheet Metal is the largest supplier of Aluminum Tread Brite in this area. Most of our employees have been with us for 10 to 20+ years providing a base of knowledge and expertise rarely found elsewhere. Midwest Sheet Metal is large enough to serve our customer’s needs yet small enough to offer the one to one attention and respect we have long been known for. We are dedicated to producing quality, custom designed fabrications with craftsmanship second to none. 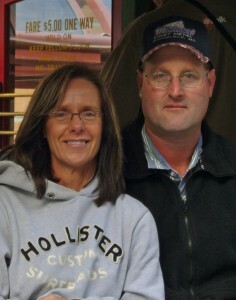 Midwest Sheet Metal Company is a second generation family owned business. 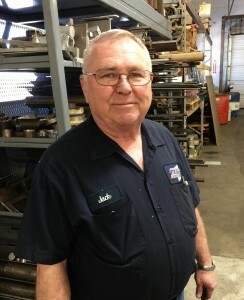 Jan’s father, Dave began his career with Midwest Sheet Metal in 1957 and owned the business for over 25 years. As the current owners, Chris and Jan now carry on the family tradition. Having owned and operated the business for over 15 years, Chris and Jan are dedicated to providing a unique, quality product & service in a timely fashion for a reasonable price. 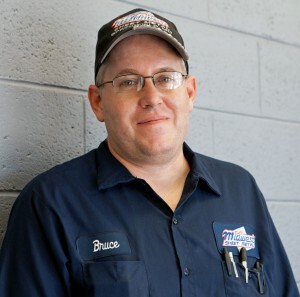 With over 20 years experience, Bruce knows how to get what you need – when you need it! He has the experience you can trust. With over 10 years of experience, you can count on Jim’s industry knowledge and attention to detail. Midwest Sheet Metal is proud to welcome Jack Taylor to our staff. As the former owner of TaylorTech, Jack has over fifty years experience in his trade. His specialties include tool and die, jigs and fixtures, special tools, small gauges and die repair. His product experience includes small electric motors, typewriter, automotive stampings and moldings, fuel injection parts, office products and more. Jack is a skilled, Master Craftsman. Cole is currently completing an internship specializing in tool and die with Midwest Sheet Metal under the direction of Jack Taylor. 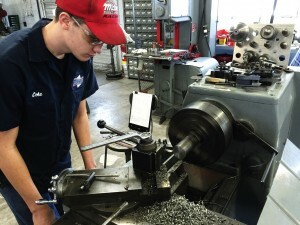 Cole has attended 2 years of school at Scott Regional Technical Center with an emphasis on Basic Machining and CNC. Cole is currently attending Ozarks Technical College with an emphasis in Machining and CAM (Computer Aided Machining). 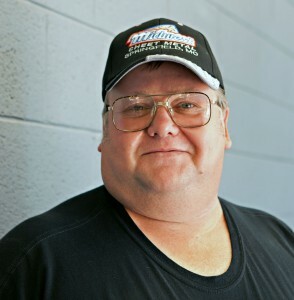 Cole has 6+ years of experience in the Racing Industry as both a crew chief and Late Model Dirt Driver. After completing his degree, we look forward to welcoming Cole to our staff on a full-time basis.